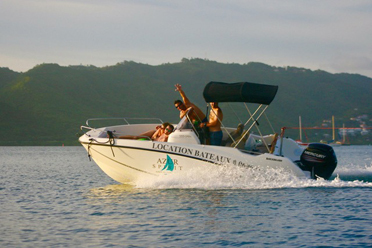 What about spending a wonderful day at sea, with family or friends and discover the most beautiful spots in Martinique? 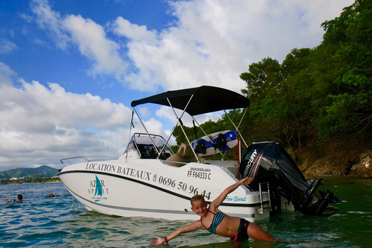 Jimy and his friendly team are based at the marina in Le Marin and offer day or half-day boat rentals (license required). 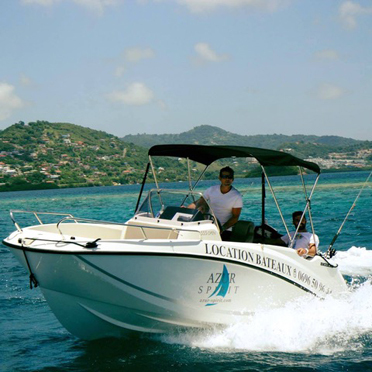 Whether you are interested in fishing, waterskiing, wakeboarding or tubing, Azur Spirit has the perfect boat. A Quiksilver Activ 555 Open 2017 full options (115 hp Mercury), equipped with all comforts (dodger, fishing pole, Gps, 12V ice-cooler, hifi usb bluetooth, sun deck), can be customized according to your needs. 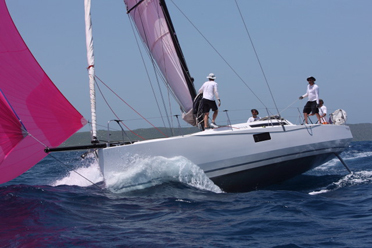 New: for those who enjoy speed, Azur Spirit has also for rental Pogo 30, 36, et 12,50.